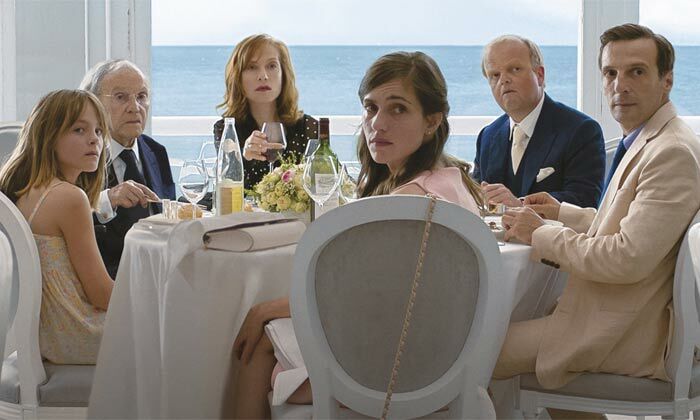 Few could have been expecting Amour, directed by Michael Haneke, to be in the running for five Oscar awards before the shortlists were announced last month, but that’s exactly where the film finds itself with less than a week to go until the biggest awards ceremony of the film calendar. Talking to Reuters, the director revealed his inspiration for the film, and admitted his surprise that a film with such a non-Hollywood ending was up for nods in so many categories, including the coveted best picture. 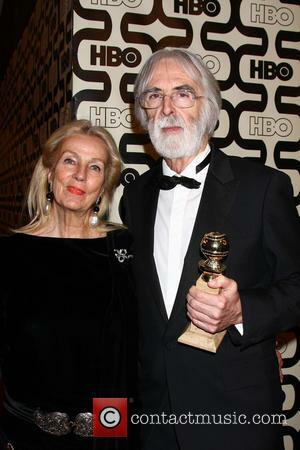 "It's no walk in the park, but it's difficult and serious, and that makes it contemplative," Haneke said of the film’s ending and themes, which surround an elderly Parisian couple’s physical and mental challenges as they arrive at life’s end. 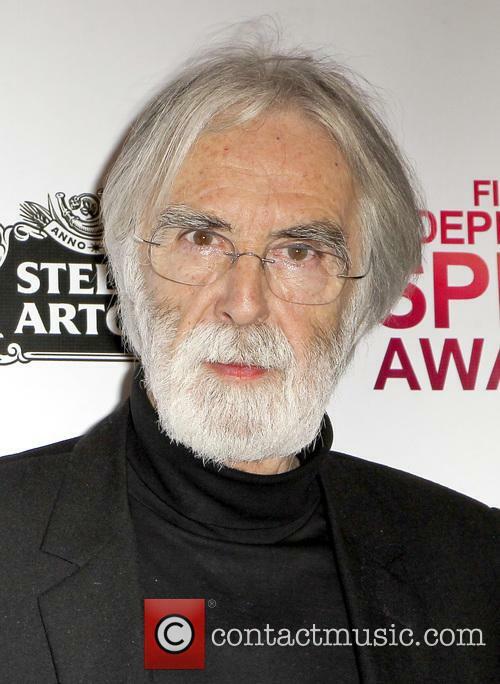 Haneke also revealed that the inspiration for the film came from somewhere close to home – an elderly aunt who was gravely ill and asked him to help her commit suicide. “I loved her very much and to watch her suffer was very difficult, but I certainly couldn't help her (kill herself) because I'd be thrown in jail," the director said. "Personally, I don't believe I could've done it anyway." Amour's Emmanuelle Riva Fears Plane Journey To The Oscars; But Could She Win? Despite being 85-years-old, it is not the flashbulbs and celebrity faces that French actress Emmanuelle Riva fears most about her forthcoming trip to the Oscars. Riva - nominated for Best Actress for her sparkling turn in Michael Haneke's Amour - says the plane journey from Europe to Hollywood is making her feel nervous. It's likely that Riva never expected to be buying a ticket to Los Angeles - her latest movie, about age, friendship and love, won acclaim at the Cannes Film Festival, though she was never considered for an Oscar before the nominations were announced. Speaking to The Wrap about hearing of her nod, Riva explained, "I found out in New York, I was there for the critics circle award. The 10th of January, early morning. My neighbors who help me when I travel shouted for joy. I was barely awake. They were screaming, 'You're nominated!' I stayed very calm. I got up and said, 'I'm not nominated.' Of course I was very happy." A couple of weeks back, the category of Best Actress at the Oscars was considered a two-horse race, between Silver Linings Playbook's Jennifer Lawrence and Zero Dark Thirty's Jessica Chastain. However, Riva won the same award at the BAFTAs on Sunday (February 10, 2013), adding an air of intrigue to the result on February 24, 2013. On how she plans to go about her business at the Academy Awards, Riva said, "I am very calm in the face of all of this. I am 85 years old. I am not going to flop about like a fish. What makes me nervous is these hours on the plane. Frankly, it seems like a hell of a journey to me. It's so long. But I will do things to the end. I will fall in someone's arms if I need to." Previously, Riva was best known for her role in the 1959 French New Wave classic 'Hiroshima Mon Amour,' directed Alain Resnais. 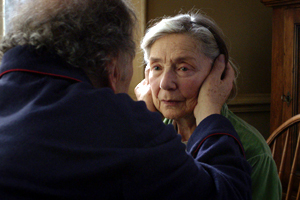 In 'Amour,' she plays a wife losing her physical and intellectual grasp on life. 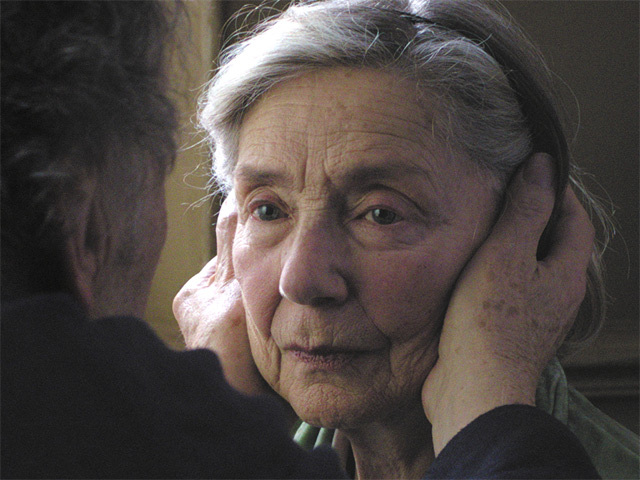 Continue reading: Amour's Emmanuelle Riva Fears Plane Journey To The Oscars; But Could She Win? 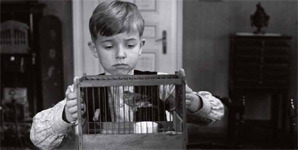 Despite Amour's Oscar nomination for Best Picture, it would be folly to suggest Michael Haneke's stark Austrian movie is finally getting the attention it deserves. 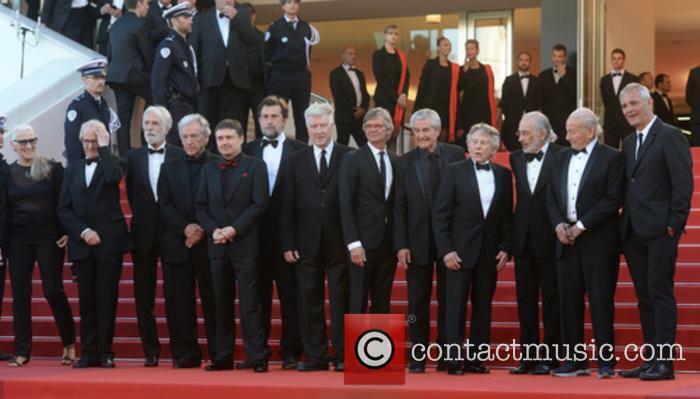 The French-language film - which depicts the day-to-day struggles of an elderly Parisian couple - was awarded the prestigious Palme d'Or at Cannes last year and was unanimously praised by critics upon its release. Andrew O'Hehir at Salon.com wrote, "This is an unforgettable love story set at the close of day, as tragic and beautiful in its way as "Tristan und Isolde," and a portrait of the impossible beauty and fragility of life that will yield new experiences to every viewer and every viewing." Mary Corliss of Time Magazine suggested, "In the history of movies about love, Amour shall last forever." The movie seized five Oscar nominations on Thursday, including Best Picture, Best Director and Best Actress for the 85-year-old Emmanuelle Riva. 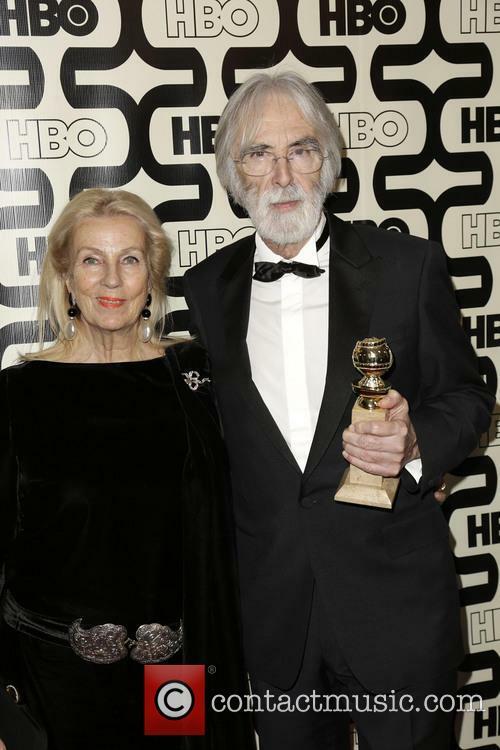 In a statement, the star - best known for her role in the 1959 classic Hiroshima, Mon Amour- said, "I never thought, while working throughout the years in Europe and France, that one day, I would cross the Atlantic Ocean, come to the United States and be nominated. It is quite surreal for me." Amour is the overwhelming favourite to win Best Foreign Language movie, though it should be seriously considered for the evening's top prize too. 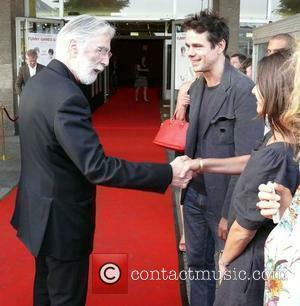 Pete Hammond, awards columnist for Deadline.com, explained how Haneke may be the one celebrating come February 24, 2013. He suggests Amour could walk away with Best Picture if early favourites Lincoln and Life of Pi split votes. "Amour...has a very passionate following among people. 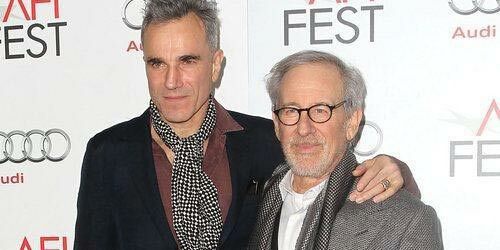 They feel very emotional about that film," he said. As awards season kicks off, today with the BAFTA nominations and tomorrow with the Golden Globe award ceremony, actors, actresses, directors and producers everywhere will be biting their nails and praying for a win from at least one of the big three coming up, the aforementioned two, of the Oscars, nominations for which will also be released tomorrow. There are very few surprises in the BAFTA nominations as this year has some clear stand-out offerings to the trade, and as announced by Alice Eve and Jeremy Irvine, here's the low down on the biggest prizes. Nominations for best film are the big five: Argo, Les Miserables, Life of Pi, Lincoln and Zero Dark Thirty. Despite BAFTA being a British institution, there's not a British film in sight (except Les Mis, but the majority of leads aren't from the fair isle). Luckily, however, there's a whole separate award for Brits. 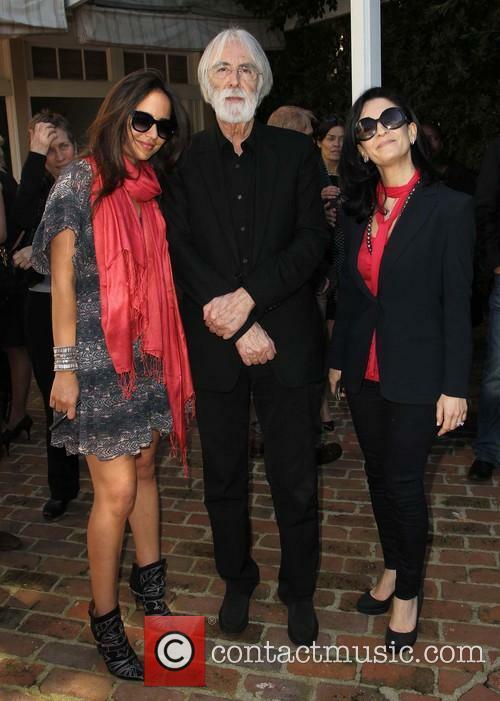 In that list, the contenders are Anna Karenina, The Best Exotic Marigold Hotel (that was 2012? it seems so long ago), Les Miserables, Seven Psychopaths and a much deserved Skyfall. A record breaking 71 countries have submitted movies for the prize of Best Foreign-Language movie at February’s 85th’s annual Oscars, the Academy of Motion Picture Arts & Sciences confirmed this week. This year’s batch of submissions includes entries from Kenta (Nairobi Half Half) and Kyrgyzstan (The Empty House), helping to push the tally beyond the previous record of 67 countries. Though there’s a fine array of movies on offer this year, attention is understandably fixed on Michael Haneke’s ‘Amour’ (Austria) – winner of the prestigious Palme d’Or at the Cannes Film Festival. 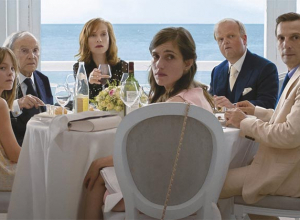 Haneke’s story of love tested under severe circumstances is highlighted as one of the year’s finest movies – full stop – and will take all the beating come February. It’s likely that the film will receive nominations in the major categories too. The category’s 2011 winner ‘A Separation’ also received a nod for the original screenplay prize, though Iran announced it would not enter a movie for 2012 in protest against the U.S. anti-Islam video that has gained notoriety in recent months. Elsewhere, Australia’s ‘Lore’ and Bosnia and Herzegovina’s ‘Children of Sarajevo’ receive submissions on the back of positive reviews. Vietnam, "The Scent of Burning Grass," Nguyen Huu Muoi.